Take a break from the stress and devour a witty and comical short that features eye-popping 3D effects and a bright color palette. The film was written, directed, and animated by Kyungmin Woo under Alfred Imageworks. 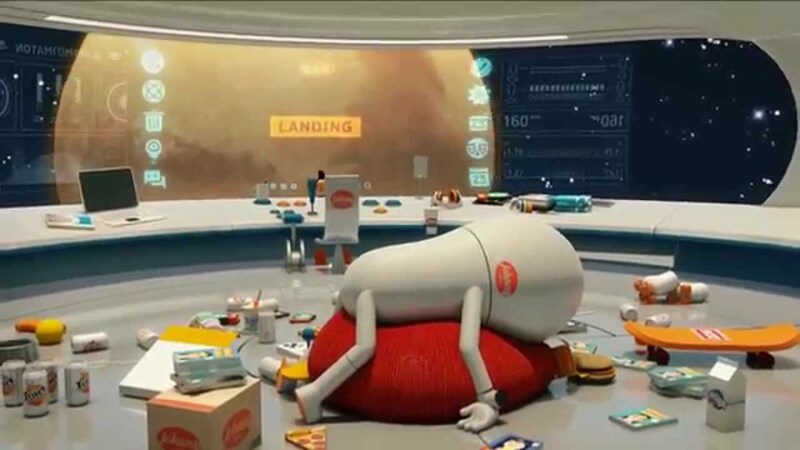 In JohnnyExpress, follow Johnny, a Space Delivery Man in the year 2150, where his only desire is to sleep and deliver packages in an autopilot spaceship. However, things go out of plan when he tries to deliver a microscopic package in a microscopic planet. The short has a wonderful knack for captivating the audience with its pleasing visuals that suit the taste of all age levels. Even though Johnny does not talk that much, his character was established within few second into the film. Another strong point of the film is how the creators intricately built the community of the tiny aliens. The humor and comic naturally builds without forcing the audience to laugh. It delivers a consistent stream of chuckles without trying too much. All in all, JohnnyExpress is a refreshing treat that’s packed with fine and crisp animation as well as imaginative colors that brings the action to life. So download, press play, and add some zing into your day.